For those of you not here last week, we’re back to the book of Acts, picking up where I left last fall. My goal this year is to cover Paul’s first two missionary journeys. Last week, we looked at how he was first accepted in the synagogue in Antioch, by both Jews and Gentiles. But then, opposition from some of the Jews arose and eventually he was driven from town. This pattern plays out during much of his early missionary journeys, as we are going to see today when we look at his work in a couple of other towns in what is now central Turkey. There are those who are excited about Paul’s message but there are also those threatened by it. The latter group heap all sort of roadblocks in Paul and Barnabas’ way, even following him from one city to another to arouse the crowds against them. But the message gets out and there are new converts. The church is beginning to grow as people in a new land learn of God’s grace and love. Read Acts 14:1-18. Do you remember the movie, “Dreamer” staring Dakota Fanning? It came out in 2005. It’s based on a true story, about Cale Crane, a young girl who rehabilitates a race horse that had broken its leg. 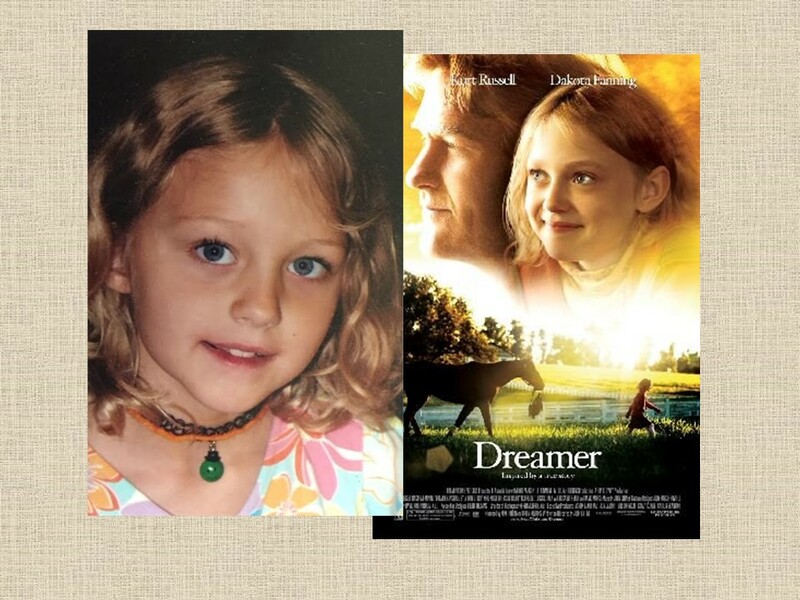 It was the feel good movie of that fall and in the film, Dakota Fanning looked a lot like my daughter, Caroline. At this time, she was seven years old. That December, Caroline had a day off from school and I took the day off from work. The two of us drove up to Grand Rapids to do some shopping. Twice, as we headed into stores, people stopped and asked if she was Dakota Fanning… She shrugged it off, although I think it bothered her a bit that people were seeing her for someone else. After a morning in the mall, we had lunch at Red Lobster. Caroline loved their biscuits and I was able to eat fish. We were seated in a booth and soon a waitress appeared. Looking at Caroline, she got all excited. “Oh my, it’s Dakota Fanning.” Caroline shook her head; I grinned. “Why don’t you sign a napkin,” I suggested, handing her a pen. To her credit, Caroline took the high moral ground and refused! In our reading today, we learn of the troubles Paul and Barnabas experienced during their first missionary journey. But not all was bad. The Word spread and there were people who believed. But the two traveling missionaries had to keep on the move in an attempt to stay ahead of those who would mistreat them. Yet they continued to preach and do good works. In Iconium, the same thing happened as in Antioch as we saw last week. They were first well received, but then as they become popular, jealously arose among the Jews and they were mistreated. So they moved on. In Lystra something different, and humorous, happens. After God, through Paul, heals a man who had been handicapped and unable to walk his entire life, people are amazed and assume these two missionaries are gods! Now, we shouldn’t be too hard on the good folks of Lystra. First of all, they are working from their own experiences. It doesn’t appear as if there were Jews in Lystra for they, like Paul and Barnabas, would have been horrified at such a sacrifice. These pagan villagers assume that if someone is doing something so amazing, they must have divine powers. Do you know the Kipling short story, “The Man Who Would Be King?” John Huston made it into a move in the mid-70s, which started Michael Caine, Sean Connery and Christopher Plumber. It’s a story about two rouge 19th Century British soldiers in India who decide to make them something of themselves in the land we know of as Afghanistan. When one of them survives being shot by an arrow, they assume he is a god. The two become very powerful in this strange land, but before they grab all the loot and leave, the newly minted “god” has his eyes focused on a lovely young woman. She, however, doesn’t want to marry him. There is this belief it would be fatal for a human to be with a god. At the wedding, she bites him and he bleeds, exposing the hoax. It’s a good movie and one of the many morals of it is don’t ever let anyone make you out to be a god because sooner or later they’ll discover the truth. 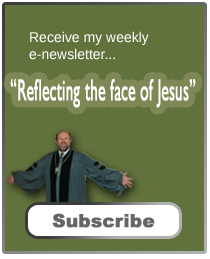 Unlike Kipling’s characters, Paul and Barnabas, couldn’t let this misrepresentation continue. They are working for the Most High God, who is striving to bring the world under the Lordship of Jesus Christ. They tear their clothes in a way to humble themselves and rush out into the crowd, trying to convince people that they, too, are mortal. It took some convincing for people still wanted to sacrifice to them, but finally they get it through the people’s head that they are not gods. Our text informs us that those in Lystra were speaking in their own language, instead of using Greek. By this point, most of the eastern portion of the Empire spoke Greek, but Lystra is culturally isolated (in the backwaters, so to speak) so they still speak their native language. Furthermore, there were legends circulating about the gods visiting people as if they were travelers. When the disguised gods were treated with hospitality, blessings were bestowed. These legends encourage hospitality to strangers, kind of like the writer of the book of Hebrews does when he speaks of those showing hospitality to strangers have entertained angels unaware. With the miracle of this man’s cure, those in the neighborhood want to make sure that they show hospitality to Paul and Barnabas. They, too, might be blessed, they hope. One thing odd about the text is why Paul was considered to be Hermes and Barnabas (who took a backseat to Paul) was thought to be Zeus, the head of the Greek pantheon of gods. One possible answer is that Zeus was generally above speaking, and would have another speak for him. Therefore, since Paul was doing most of the talking, he was cast not as the top god but a lesser god! It’s interesting to speculate, but the important thing is that Paul and Barnabas are able to use this event to teach what God is up to in the world through Jesus Christ. Their mission was not to draw people to themselves but to make disciples of Jesus. By the way, that’s our mission, too, regardless of what the General Assembly might say. Luke would not know what to make of a church no longer in the business of making more disciples. While the mission of the church is more than growth, it is not something other than growth! Paul and Barnabas wanted to draw people to Christ, not themselves, and our goal should be the same. There are people today who might look at doctors and surgeons as gods (with a little g). Some physicians may even look at themselves in that way, but most I think realize their own limitations. The effectiveness of their medicines and the skill of their hands can do wonderful things, such as fixing a snapped tendon as I experienced this winter. But those who have such gifts, just like Paul and Barnabas, need to realize that healing is also an opportunity to teach about the source of all healing. I imagine Paul and Barnabas, as they aged, looked back and laughed about how people thought they were gods. Sometimes, when trying to take the gospel into a foreign setting, confusion and misunderstandings occur. But such opportunities also allow an occasion to teach and to point people to a God whose love for this world is so immense that he sent his own Son. From this story, we should be encouraged to risk doing the work of Christ and if we find ourselves in such a situation, remember that we are not to take credit, but to give credit to our Lord. It is his name we are to glorify and praise. Amen. See Johannes Munch, Acts of the Apostles (New York: Doubleday/Anchor Bible, 1967), 129. Beverly Roberts Gaventa, Acts (Nashville: Abingdon, 2003), 206. F. F. Bruce, The Book of Acts (Grand Rapids: Eerdman, 1986), 223-224. William Willimon, Acts: Interpretation, A Bible Commentary for Teaching and Preaching (Louisville: John Knox Press, 1988), 127.